Raffles Grand Hotel d’Angkor was established in 1932 and provided accommodation for the first wave of travelers for whom the Angkor Temples were an obligatory stopover. 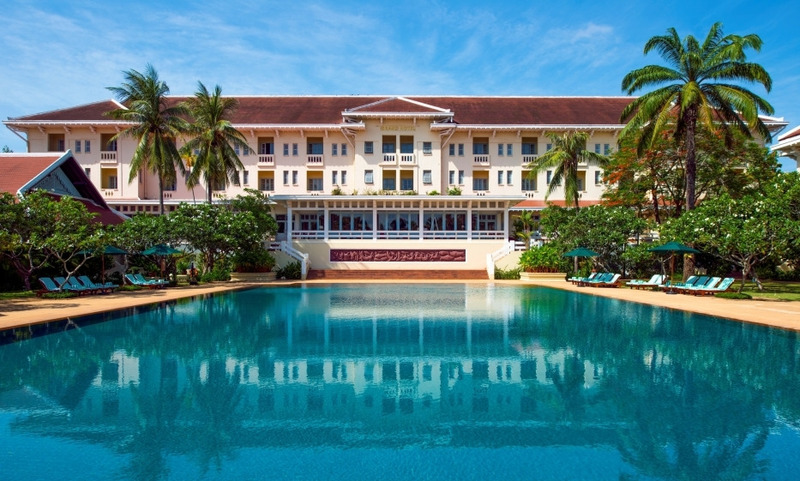 Reopened in 1997 after an extensive restoration and refurbishment programme by Raffles International, the hotel resumes position as the premiere resort in Cambodia. Take a dip in the largest swimming pool in Cambodia, inspired in design & size by the ancient bathing pools of the Khmer Kings in Angkor. Use the 1929 birdcage elevator, operated by the lift attendants, Savat and Chantha, both of whom grew up in Siem Reap. Visit Angkor Wat temple at sunrise – but go there in the superb Raffles 1950s Jeep. Wonderful hotel with great atmosphere and character; colonial charm; service was perfect on every level. A nice property with colonial charm. I especially enjoyed the beautiful antique furnishings of public spaces. I would emphasize the kindness of all the staff and great courtesy. One regret: the absence of dedicated changing rooms for the pool.